Find our what our patients think. Reviews and testimonials for Platinum Chiropractic. 408-533-0553. Like what you see? If you are dealing with back pain, neck pain, headaches, migraines, arm pain, sciatica, carpal tunnel, disc herniation, pinched nerves or other health conditions, schedule a complimentary consultation to find out how we can best help you. 408-533-0553. Serving San Jose, Santa Clara, Campbell, Cupertino, Sunnyvale, Saratoga, and Los Gatos. 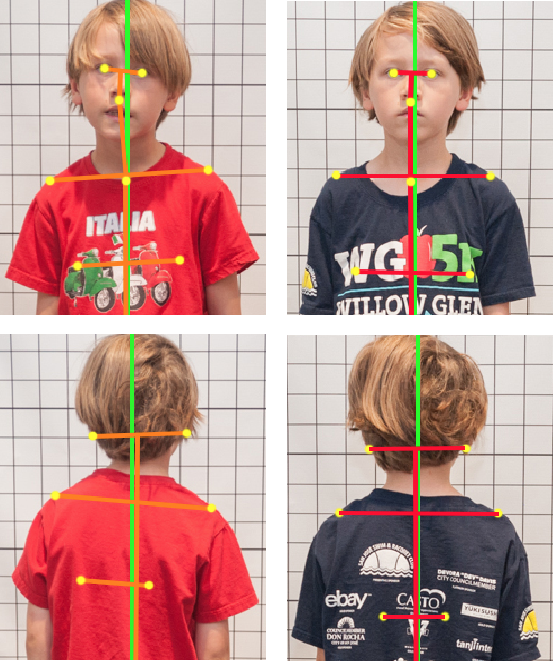 "We brought our son Jackson, age 6, in to Platinum Chiropractic after he was complaining of neck pain and we noticed his neck posture and shoulders were uneven. A few days prior he had either fallen playing around at gymnastics or on the playground, or slept on his neck wrong, or some combination of them. His injury was limiting his ability to turn his neck and move freely, which was limiting his activity level and mood. "We thought maybe with a couple days of rest, things might improve. But after a few days, there was no improvement so we brought him to see Dr. Karo. "Dr. Karo was great. He alleviated Jackson’s nervousness about having his neck and shoulders examined. Jackson had steady and noticeable improvement after each visit. After seeing Dr. Karo four times, he does not have any more stiffness in his neck or limitation of movement. Jackson is no-longer experiencing pain in his neck, his shoulders are even again, and he can move and rotate his neck freely. Plus he has been sleeping better. "Jackson has returned back to normal, continuing with his gymnastics and playing as if nothing happened." "I'm 32 years old and for most of my life, I was suspect of chiropractors. The handful of times I had consultations, it felt like a sweatshop or a used car salesperson experience. Dr. Karo completely changed my education of the practice and the importance of it for my central nervous system. It started with my wife who has had hip and back problems most of her life. After seeing Dr. Karo for a couple of months, she saw massive improvement. Then, as I turned 32, I had a one month long headache. Had no idea what was wrong. My wife advised me to see Dr. Karo and in the first consultation, he fixed the problem and educated me on the central nervous system. I still remember the release in my upper head and how happy I was. "We just recently had a son and now he sees Dr. Karo more than me! I feel lucky that Dr. Karo works on my boy (first kid). Like any trade or service you experience in life, there are 10% of people that are truly excellent. Their work goes beyond a paycheck as it means more. Dr. Karo is one of those excellent people and I would 100% recommend him." "Dr. Karo and Kristen are extremely professional and are well versed in a wide variety of health and wellness topics. They truly care about their clients’ progress and wellbeing, and they take an interest in their clients’ lives outside of the office. I cannot say enough about them. They are the best and I am so blessed to have found Platinum Chiropractic." "I have been going to Dr. Karo for over 2 years now. He is an amazing chiropractor. He has taught me about movement, nutrition, and improved my posture. I am very active and clumsy. Dr. Karo has always been there to ease my pain. I moved to San Francisco last April and I still drive down for adjustments. I have noticed how much better my body functions and feels with frequent adjustments. "I am also a nurse and am always lifting and turning patients, he has taught me ways to prevent injury and proper body mechanics. He also knows a lot about nutrition and has helped me improve my diet. He is absolutely brilliant." "Before finding Platinum Chiropractic I went to a conventional chiropractor and couldn’t see myself getting better. After finding Platinum Chiropractic, I knew I was in the right place and in the right hands. "Right away we went over the entire process and I got started immediately. After just the first month I could see a significant difference from the side by side before and after photos. Pain was going away, I was becoming more mobile, and my quality of life was increasing. "Three months has elapsed, and I can tell you that I’m in much better shape than I was day one. I would recommend Platinum Chiropractic to friends, family, and anybody asking. Thank you Platinum Chiropractic you are the best." "My family and I have been visiting Dr. Karo for more than 5 years now. I first started visiting him when I hurt my hip flexor (something I learned from him) during one of the Crossfit workouts. I had never visited a chiropractor before, but on another hand, I did not want to see a doctor whom would’ve most likely prescribed painkillers. A few sessions later, I was fully recovered and the pain has never come back. Through the years, Dr. Karo’s adjustments have helped me quickly recover from various sport-related injuries. In addition to chiropractic adjustments, he has given us practical advise on injury prevention and how to achieve wellness through exercise, nutrition, and proper rest. Both of my kids, Alexzander and Victoria have been accompanying me to visit Dr. Karo for many years. They’d sometimes surprise me with the request of needing an adjustment whenever they’d feel ‘structurally imbalanced’. Apparently, my kids have been listening during our adjustment and consultation sessions and they’ve learned the importance of regular Neuro-Structural care. Some of the key benefits we have noticed include our bodies’ increased capability of self-healing, being able to concentrate and focus better, feeling less tired and being more mobile." "I have visited a variety of chiropractors over the years since moving to the US and they all seemed just OK. Six years ago, I was ‘introduced’ to Dr. Karo and I have never looked back. "Historically, I had many sports injuries; from my knees, up to my lower back, upper back and neck. Pain was synonymous to most of my daily functions, which included nerve and numbing pain. It has gotten so much better now that there is no more numbing pain and almost no nerve related pain. Sitting, standing and even lying used to be barely bearable, but ever since beginning regular Neuro-Structural corrective care, my body functions have improved and it is a lot less painful to be active. When my spine is out of structural alignment due to constant travel and long work hours, my regular visits to Dr. Karo help keep those long painful days at bay. "Improvements I have personally experienced over the years under Dr. Karo’s care and supervision include less overall pain (greatly reduced), increased mobility, better concentration and focus, stronger immune system (I heal a lot faster than it used to take), more alert, and increased vitality and better overall mood. "Dr. Karo also runs additional programs like nutrition, mobility and many more which I believe everyone should try at least once as his programs help with overall natural healing and increased body function." "I used to get minor and major headaches almost every day and migraines along with neck and elbow soreness and pain. After seeing Dr. Karo and my series of adjustments, I have little to no headaches on a daily basis. I know how to take care of myself better (like my posture, exercises to strengthen my elbows, and even improvements on my eating habits) and I learned so much about chiropractic care and what it means to be healthy. "The fact that I no longer get headaches on a daily basis is incredible. I am so much happier not having to deal with the pains and the thought of putting another pain killer into my body. I am healthier in many ways like my posture, my neck stiffness, and pain and my elbows no longer hurt and throb when I workout. "I love the way Dr. Karo approaches each adjustment & how he goes into thorough detail about the why behind chiropractic care. I learned so much from just listening & incorporating what I learned into my lifestyle. I am healthier and happier, so thank you so much." "Before coming into Platinum Chiropractic, I was very skeptical of the benefits of chiropractic care. I was experiencing lower back pain, and needed to find a long term solution as pain medication was not the answer. "As I started my treatment plan, not only did my back pain begin to subside, Dr. Karo taught me so much about the inner workings the human body. "I soon found myself with increased mobility, increased energy as I slept better, and the ability to stand longer without tiring out. Dr. Karo was also extremely patient as I asked a million questions about my overall health and treatment plan. I really owe so much to Platinum Chiropractic as my health has improved tremendously after 3 months of consistent visits. "This was easily one of the best decisions I’ve ever made for my health. I would recommend Platinum Chiropractic to anyone considering chiropractic care. "